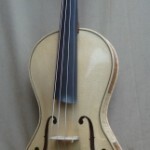 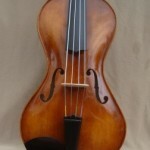 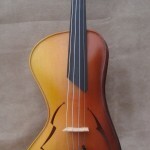 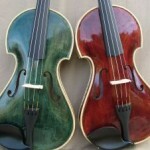 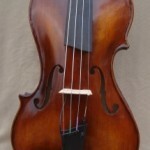 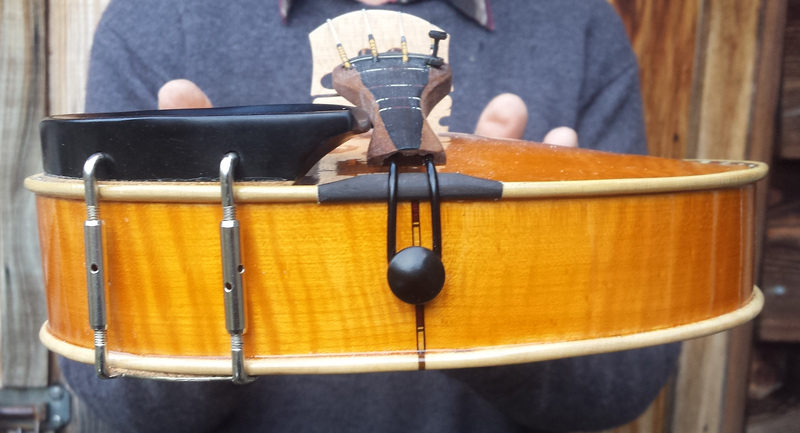 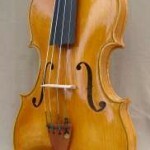 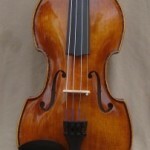 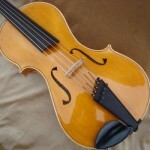 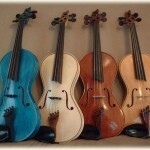 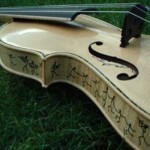 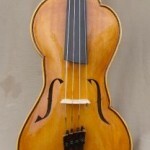 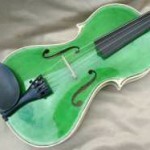 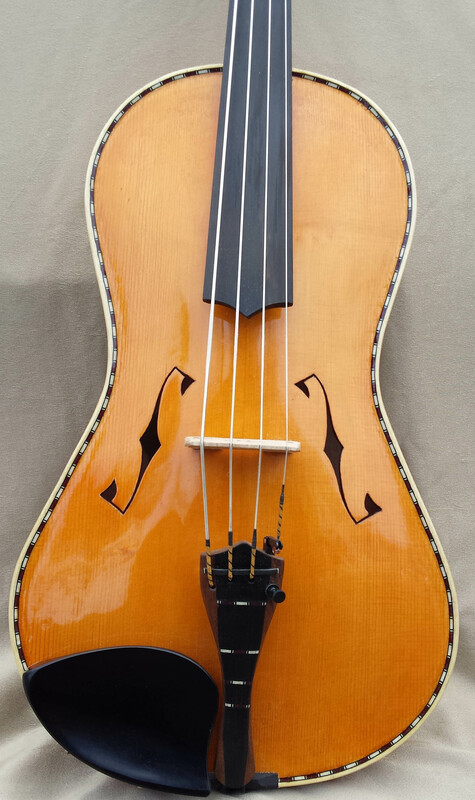 Octave Violin with Revolin ribs, sloping from narrow on one side to wider on the other. 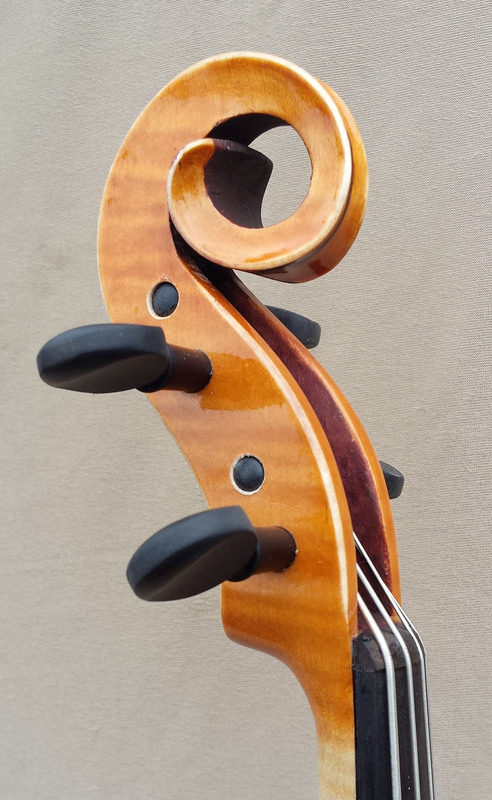 Golden brown colour with blonde edges and Tasmanian blackwood inserts in the ribs. 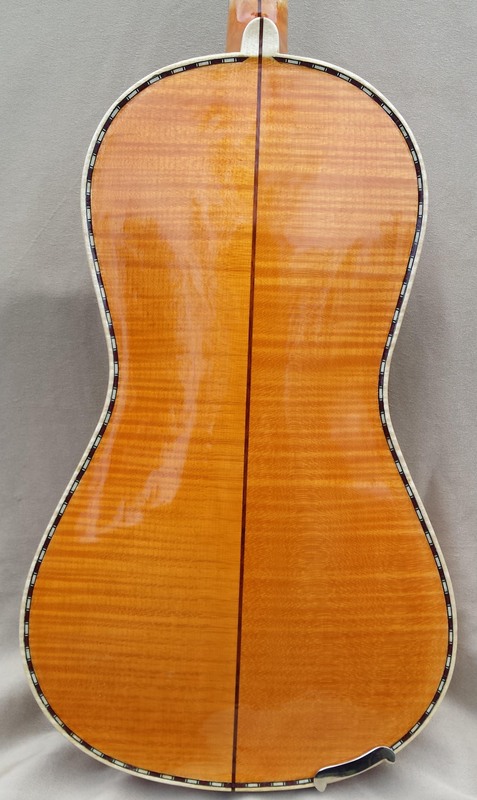 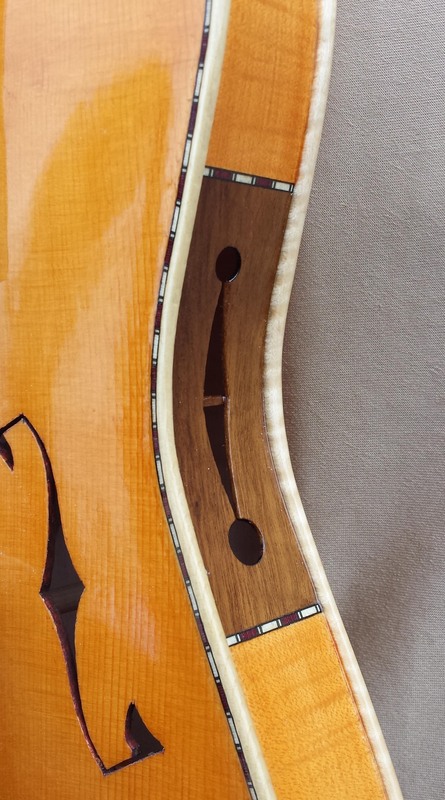 Extra soundholes in the ribs. 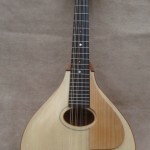 Distinctive F holes, Open scroll, Shaped fingerboard and decorated tailpiece. 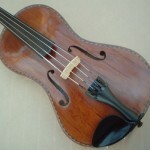 This instrument can be fitted with a Skyinbow Pickup for £219.